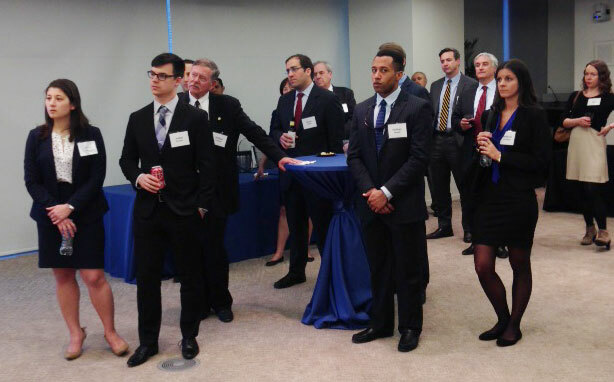 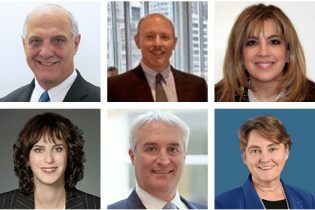 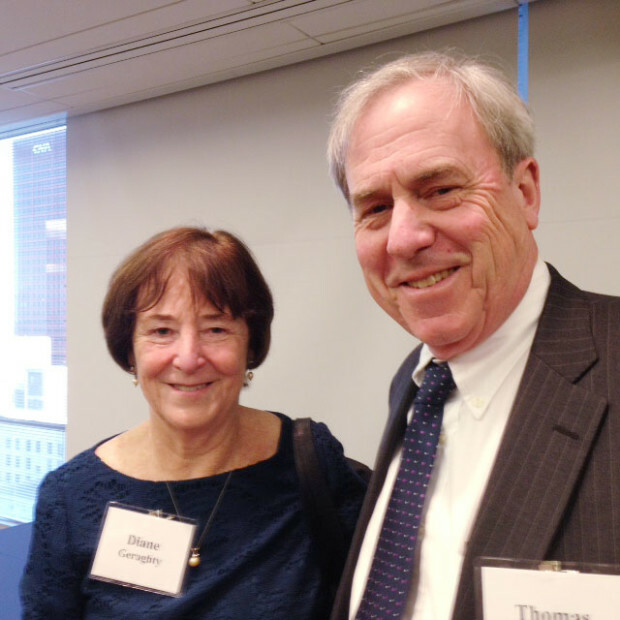 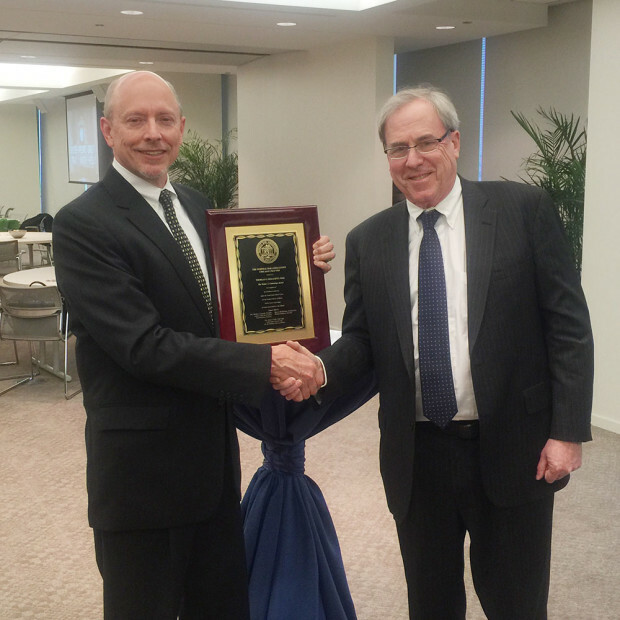 On March 29, at the Sixth Annual James B. Moran Membership Appreciation Event, the Chicago Chapter presented Professor Thomas Geraghty of Northwestern Law School the Walter J. Cummings Award for distinguished pro bono service. 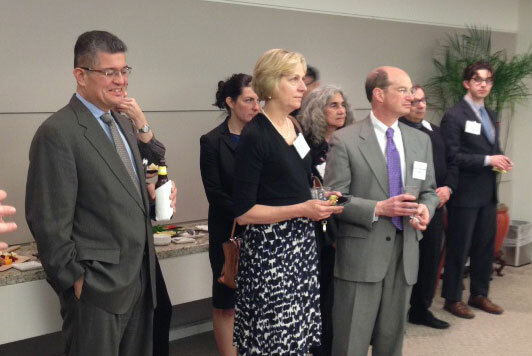 The Chicago Chapter presents this award annually to an attorney for excellence in pro bono service. 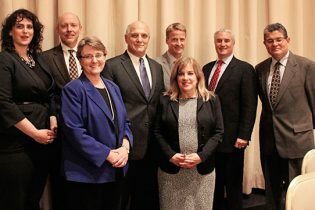 This year, the recipient was nominated by the U.S. District Court for the Northern District of Illinois. 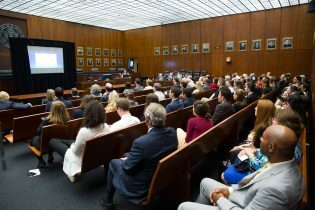 The award is given in the name of longtime chapter board member and judge of the U.S. Court of Appeals for the Seventh Circuit, the late Walter J. Cummings. 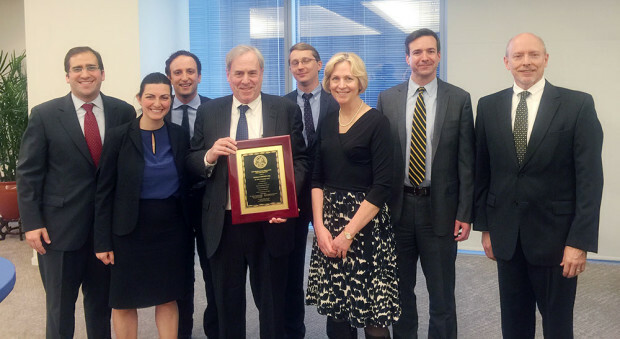 Professor Geraghty and the legal team from the Jason Strong case (the case that earned Prof. Geraghty the award).